When teachers prepare to apply for jobs, they polish their resume, many create a portfolio of curriculum and experiences, and most scour the internet for interview questions (which you no longer have to do because of this series!). But do you research the schools for which you're interviewing? Do you know the ethos and culture of that school? In today's interview, Asia Cunnigham discusses why you MUST do your due diligence and research a school in the same way that any administrator will research YOU. 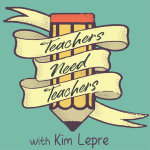 Tell me about you and your teaching experience with your cooperating teacher. Tell me about how you empower students to become involved in their learning process in the classroom. As a teacher, how do you build relationships equitably with all the students in your environment so that they’re able to demonstrate mastery and reach their maximum potential? What is a typical day in your literacy classroom look like? Tell me what you do in terms of your students that are unmotivated. What does that look like? How do you ensure parental involvement in their learning process in your classroom? What ways are you a collaborative working colleague?